What is it about those memories of simple childhood, doing the supermarket shop with my Mum in the mid-90s. All the excitement always belonged to the cereal aisle, I would gaze in awe at all of the brightly coloured packaging and vivid graphics. Of course, being a 90s child meant I lived through the free gift culture – yes Trolls and Animal Hospital every single time. The anticipation myself and my brother felt when the cereal packet was opened and we poured out the first bowl… waiting for the toy to drop. If I’m being totally honest, my love of cereal has stayed with me since those early days, but admittedly now it’s the flavour and ingredients that sway my purchase. Wholesome granola was one of the first foods I began eating when I was looking for a healthier lifestyle. 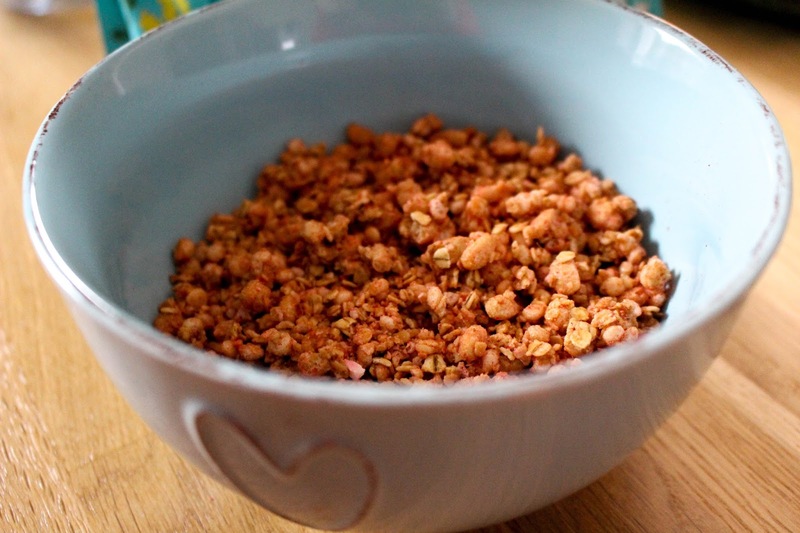 I’ve been a fan of Lizi’s Granola for years, the granolas were my staple especially when eating wholesome breakfasts ahead of marathon training. Combining the balance of nuts and flavour (Mango Macadamia being my favourite). 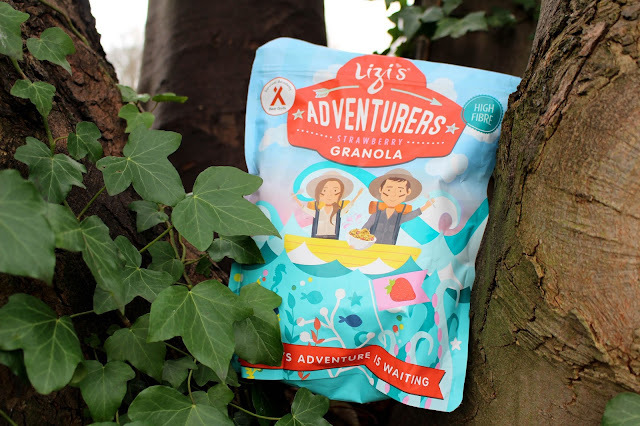 When I saw the release of Lizi’s Adventurers I was so excited, because a) I love Lizi’s b) I’m a big kid at heart 3) I’m going to have a little mouth of my own to feed soon – and just how important is it that nutrition and health are a part of everyday life. So, I guess you could say this is a little nod to my own childhood, because I absolutely adore the story behind these granola’s and the design of the packaging. Encouraging children to use the energy from their bowl of breakfast granola in their own adventures. I tried the strawberry flavoured granola which is a mix of toasted oat clusters, ground almonds, coconut and strawberry pieces. The flavour was super strawberry with the wholesome taste of oats and goodness. The best part was that the milk tasted just like milkshake afterwards! I hope my love of cereal is passed down to my little one (because breakfast is the most important meal of the day) and maybe we might see a reoccurrence of anticipation and excitement at the supermarket in years to come. Lizi's granola was gifted to me as part of a prize.